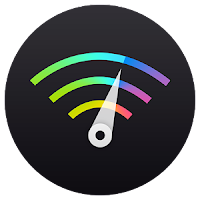 osmino: FREE WiFi Lite – lightweight version of the legendary app osmino WiFi. This is a free WiFi access around the world – more than 12 million wifi hotspots. With the help of this easy WiFi-manager you can automatically join free WiFi and share public and private WiFi networks. Automatic search and connection to public WiFi networks start with one tap. No any complicated settings nor terms. You can check the nearest public hotspots on our WiFi hotspot map.